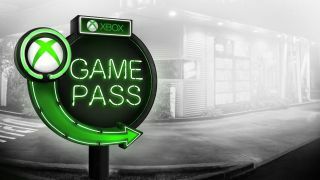 The Xbox Game Pass is one of the best value products available in gaming right now and it's back down to a super low price over at CDKeys. So if you've been waiting for a super deal on a 12-month pass to the Netflix of gaming-style service you won't want to miss this. Microsoft hasn't been shy with collecting lots of big name games for the list. Hellblade: Senua's Sacrifice was added a few weeks ago and this month's top titles include Shadow of Mordor, We Happy Few, Hitman: Season One, The Lego Movie and more. What has us even keener on the service is the way Microsoft puts its own big titles on the service on the day of release. So as soon as Sea of Thieves and Forza Horizon 4 came out, subscribers could enjoy them in full. And yes, Crackdown 3 will be available on day one when it comes out in February. And because you download the games, rather than stream them, there's no need to worry about connectivity issues once the game is downloaded (we are getting close to broadband being reliable for this one day soon though). Once they're downloaded, you can play them as much as you want while your membership is active. All this for essentially the cost of a single brand new Triple-A game today thanks to this massive discount on a 12-month subscription. That's a massive £40 saving on the regular price for a whole year's access to the service that gets new games added every month. It'll save you loads of money overall compared to buying games, playing them through once, then never using them again too. Crackdown 3 next month, everyone. Finally! Short version: no. You'll only need an Xbox Live Gold sub to play the online multiplayer side of Xbox Game Pass titles, just as you would if you bought them as individual games. On the plus side, you can also get some seriously cheap prices on the Xbox Live Gold subs today as shown below too.